We’ve had a pretty busy week around here. Lots of cell phone pics because the hubby came home for a few days. We picked him up from the ship last Friday and then said goodbye to him Wednesday night. At least this time he is only gone for 10 days. Pumpkin Patch! Lots of pumpkins and animals to feed. Isn’t Connor’s shirt cute? They made them at preschool for his Harvest Festival. I love how it turned out! I know people complain about Chuck E. Cheese but we love going there! I love playing the games with Connor and the hubby wins tons of tickets shooting hoops. The best time to go is definitely during the week. We were the only people there. Halloween was a blast! Our little bakugan actually wore the mask even though nobody knew what he was:) I was just happy that hubby was home to go trick-or-treating with us. Love all the pictures… What a cute little family.. Looks like you had lots of fun! found you through the gfc hop! I’m so happy it’s Friday!! My sweet boy and me!! Picking paint colors – why is it so stressful? Starbucks date with my favorite little man! I finally picked a color so I will be busy painting this weekend. I’m also going to attempt to add board and batten to a wall in the bedroom. Should be interesting considering the hubby is out to sea. Stay tuned for more details. I hope everyone has a great weekend!! Have a wondeful time painting! I’ve never seen Daughtry in concert; I’d love to (I hear he is very good)! Oh, and I know how stressful the paint picking can be. I’m currently doing over my bathroom and I can’t seem to find the perfect taupe. It’s kind of ridiculous how differently a shade of paint can look under different lighting! I love the photo of you and Connor!! You need to get the Postal Pix app and definitely order a copy of that one!! I’m so excited for the weekend!! The hubby comes home tomorrow after being gone for a few weeks! Here are a few pics of what we’ve been up to this past week. 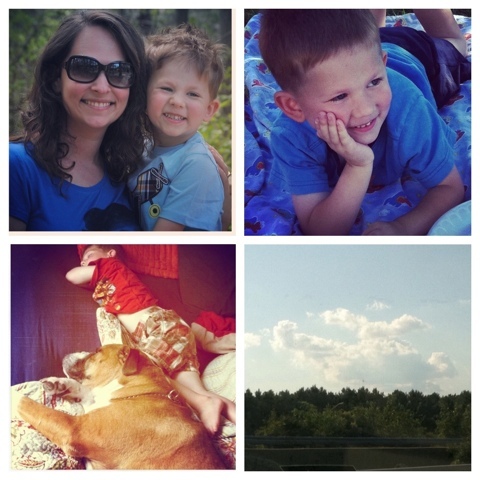 Love the shots of your week! Thanks for hosting the hop! I love that umbrella. Woulda loved to have had one when my daughter was little. New follower from CLA giveaway. Julie @ http://icreatepurtythangs.blogspot.com. Looks like a super fun weekend!! Love the umbrella! Ladybugs are my thing. 🙂 Newest follower from the blog hop. Hope you can stop by and follow back. Have a great week! Julie from Stlavonlady – a cat, a girl, a man and me! We are on our way to Maryland for my brother’s wedding. Can’t wait to spend time with the family. 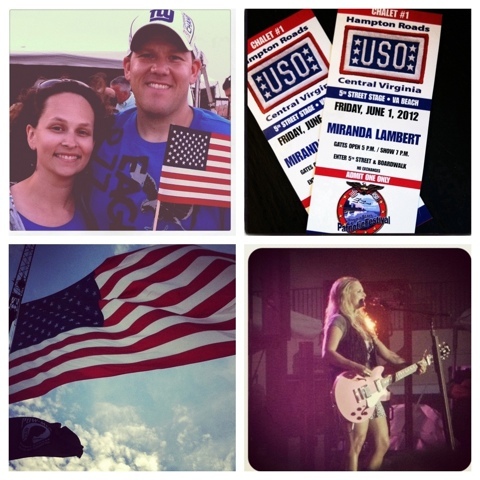 Miranda Lambert at the Patriotic Festival!! Great concert on the beach. I hope everyone has a fabulous weekend!! Those clouds totally look like a helicopter! 🙂 It looks like ya’ll had a great week! 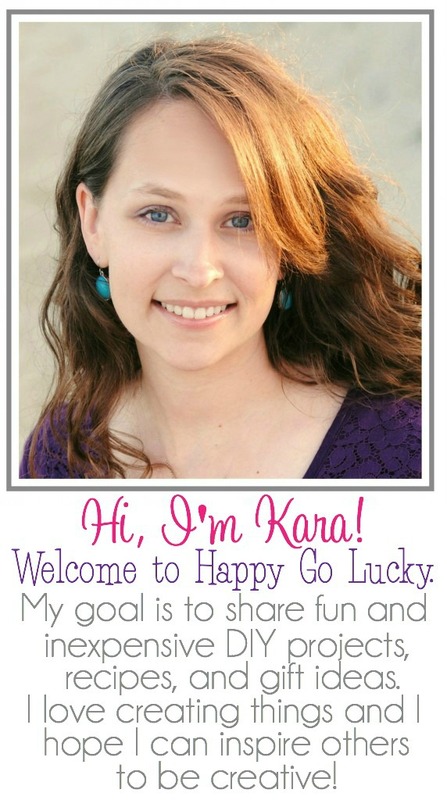 I’m a new follower from the VWB hop – it’s nice to “meet” you! Wow I love the helicopter cloud! So cool! Sure wish I coulda heard her live. Lovely photo’s, thank you for sharing. Playing legos with cousin Aidan at Grammy and Granddude’s – life is great! I can’t even get him to smile for the camera anymore – anyone know how to get a 3 year old to not run away when they see the camera? Connor’s first medal! 1 mile walk to support the fight against child abuse. I miss Pungo pizza and the cupcakes in a jar turned out great! Congrats to Connor on his 1st medal! I hope everyone has a FANTASTIC and relaxing weekend! I can’t wait to sleep in tomorrow!! It’s been a rough week. I was definitely spoiled by spring break. Conner is a handsome little guy Kara! Love that stacking..too funny! Thanks for sharing, loved seeing you guys! The fridge stacking moment is my favorite. The fridge picture is just too funny!!!!!! Oh, how I’ve missed InstaFriday! I used to participate all the time but then things got crazy and I found that I wasn’t taking very many pictures on my phone. But I love instagram so I’m going to start taking more pics with my phone. You would think that I had tons of pics since I don’t go anywhere without my phone. The weather was gorgeous all week so we’ve been playing outside and going to the park in our neighborhood. I hope everyone has a fun, fabulous, and relaxing weekend!! I miss that cutie Connor! I’m jealous of your warm weather and margaritas!! What an awesome week…and oh my goodness I am going to have to check that gel scrumptious out!! Have a fantastic weekend lady!! I love instagram. It’s been gorgeous here too and we have been spending a ton of time outside. To the point where my daughter is completely worn out and once she comes in is out for the night. I am now following you by RSS Feed from I Love My Online Friends Hop. I look forward to reading more of your posts.